Two Dots APK: Two Dots for Android is a sequel to the popular puzzle game Dots developed by PlayDots and the new Two Dots game also features a similar gameplay of Dots but it packs a new set of challenging levels and add-on's for a more engaging user experience. Two Dots was previously released for iOS devices and it has been released for Android now, The game is free to play and offers in-app purchases for users. TwoDots also comes with a distraction free minimalistic design and smooth sound. 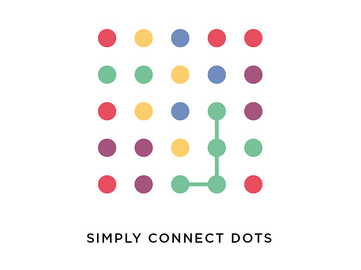 Simply connect dots of same color to clear them and there are many levels with different game modes, you can gain 5 free extra moves and stars for completing a level.